The toughest open-water swimming race in the UK will return to Glasgow in March, featuring world-class open water swimmers all set to take on the challenge of swimming uphill! 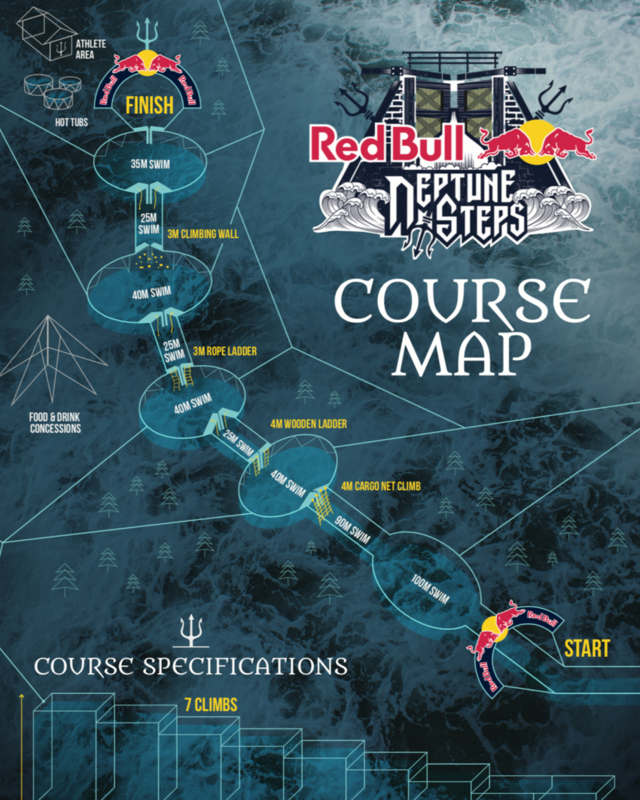 Red Bull Neptune Steps challenges elite endurance athletes in an adventure race like no other, swimming through 400 metres of cold water, climbing 18 metres over seven canal lock gates, and pushing participants to their limits in a true test of speed, strength, and resolve. The athletes will be competing in heats throughout the day, and the highest placed swimmers from each round will move onto the semi-final heat and eventually the final. Each canal gate features a different obstacle, which the swimmers have to climb over before diving into the next section of water, including cargo net, ropes, wood ladder, rope ladders and a climbing wall. This spectacular free event will take place on Saturday 23rd March at Maryhill Locks in Glasgow, so why not come along to cheer on the athletes!